The highly anticipated Apple Watch might miss out on Christmas, but new rumours suggest that Apple is gearing up to launch it in February 2015, possibly around the middle of the month in a bid to make it the must-have Valentine's Day present. 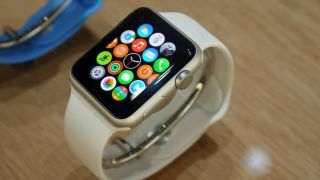 Taiwanese website Apple Daily has claimed that mass production of the Cupertino company's wearable will begin in January 2015, which could see it arrive around the middle of the next month. It's also been claimed that Quanta Computer will be the only manufacturer of the Apple Watch, with the manufacturing company ramping up recruitment to make sure it has enough workers to help fulfil Apple's needs. Whilst it looks like Quanta Computer might be in an envious position being the only manufacturer of the Apple Watch, however it's been reported that it has entered a deal with Apple promising not to manufacture any other smartwatch for Apple's competitors. Now that Apple's promise of an early 2015 launch has been expanded on, it looks like it's not just Cupertino that is hoping that its Watch is a success.